In the main event, TUF and UFC vet Louis Gaudinot returns to the regional stage to take on Northeast circuit stalwart Claudio Ledesma. Both guys are dangerous - Gaudinot for his explosive striking, Ledesma for his grappling and ability to grind nonstop - but what makes this match-up most compelling is that Ledesma has only lost to the absolute best (Aljamain Sterling, Jimmie Rivera, Zach Makovsky, etc.). A win over someone as credentialed as Gaudinot means Ledesma should be knocking on the UFC's door soon; a win over Ledesma means Gaudinot is still among the best in the region, and should be back in the Octagon in no time. 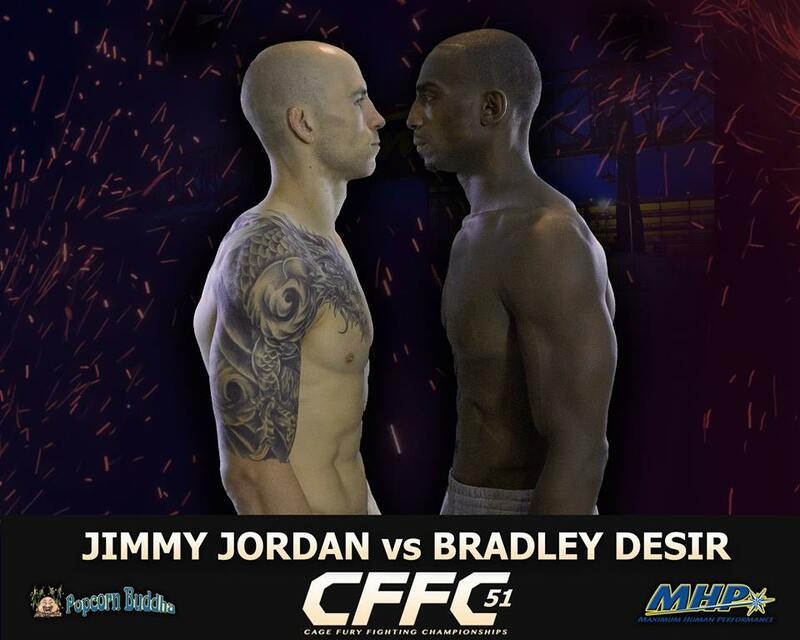 The co-main event features Bradley Desir against local champ Jimmy Jordan. Jordan is undefeated as a pro and seems to know his way around the mat, while Desir is just as skilled at putting guys away with submissions as he is at pounding them out. The only knock against Desir is his record is mottled with losses - but those losses don't mean much when the cage door shuts and he's overwhelming you with strikes (just ask jiu-jitsu black belt Luciano Cristovam and veteran fighter Brian DeMuro). Invicta FC 14 - which features a bunch of ladies who couldn't make weight - may be on UFC Fight Pass tonight at 8pm, but CFFC 51 is rocking out on GFL at 7pm. Can you guess which one I'll be watching?